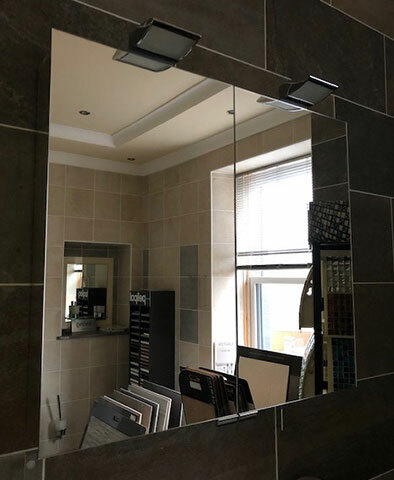 Bathroom mirror cabinet with lights fitted at top. Halogen lamps at the top to provide overhead illumination. Double sided crystal glass mirrors. Interior features adjustable glass shelves, two utensil shelves and integrated shaving socket. Switched on using small pull cord positioned underneath cabinet. Also includes a KEUCO tumbler.